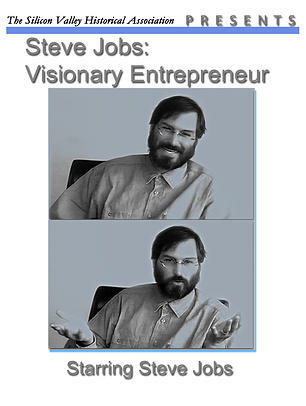 Steve Jobs: Visionary Entrepreneur is a 60-minute documentary built around a 20-minute interview of Steve Jobs in 1994 that was conducted by the Silicon Valley Historical Association. Steve Jobs was asked to give advice to young entrepreneurs who wanted to go out and start their own businesses. He talks about risk and the willingness to fail, the role of building illegal blue boxes prior to founding Apple Computer, and his philosophy on how to approach life. The following clip has never been shown publicly before, but the SVHA shared it with YouTube channel EverySteveJobsVideo. Steve Jobs is the man.